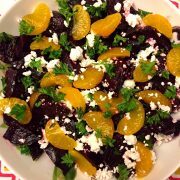 Instant Pot beets are so delicious and easy to make! 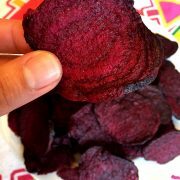 This is the easiest method of cooking beets ever! 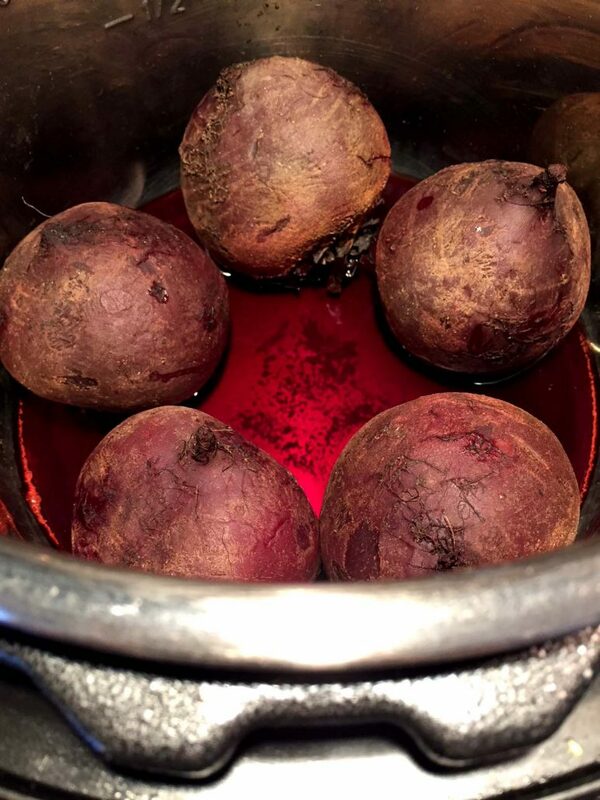 Instant Pot beets are cooked whole – just put raw hard whole beets in the Instant Pot, press the button and come back to tender delicious cooked beets! Their skins will slide right off, saving you so much work! 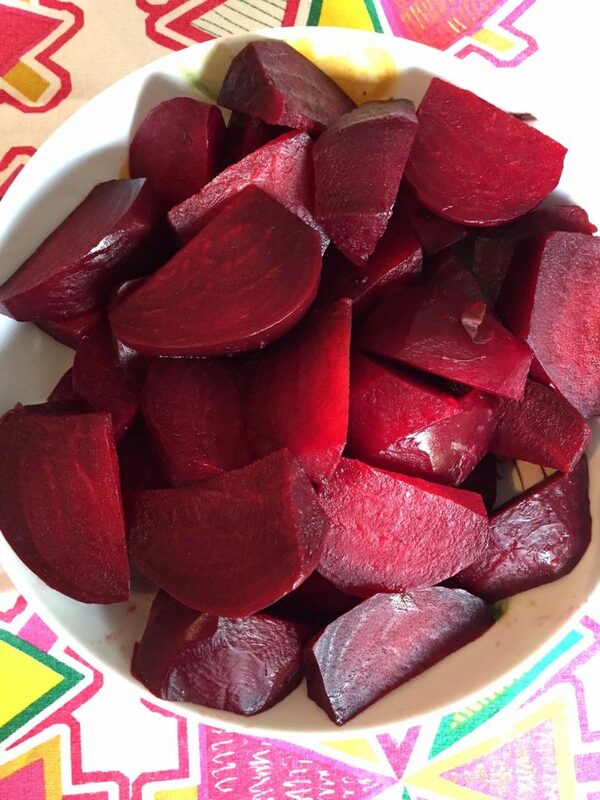 With the Instant Pot, you cook the beets whole and peel and slice them afterwards once they are already cooked and tender. Peeling and slicing cooked tender beets vs. peeling and slicing raw hard beets – guess which one wins in my book? 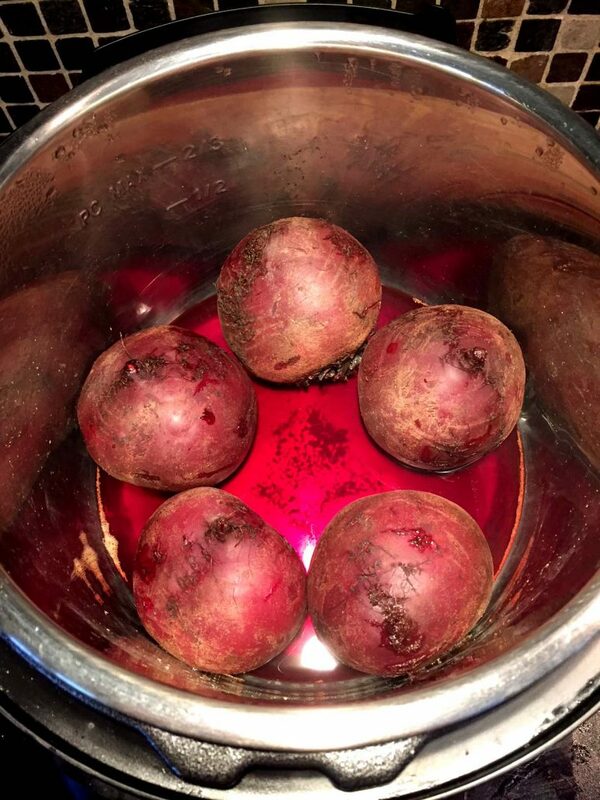 To cook beets in the Instant Pot, just put the whole beets with a cup of water in the Instant Pot. You can use the trivet or put the beets directly in the water (I usually put them right in the water, as the trivet is just one extra thing to wash). Close the lid, press the “Pressure Cook” or “Manual” button and set the time for 20 minutes on High pressure if your beets are less then 3 inches in diameter (or 30 minutes for larger beets). When it’s done cooking, quick release (QR) the steam and remove the beets. They will be super easy to peel – the skins usually slip right off! If your beets came with the greens attached, cut off the greens before placing the beets in the Instant Pot, but don’t throw those greens out! 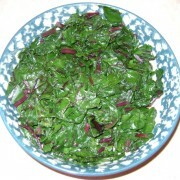 Beet leaves are super nutritious and are really yummy when cooked using my sauteed beet greens recipe. I like to wear disposable rubber gloves when handling cooked beets as I don’t like to get my hands stained 🙂 Peel and slice your cooked beets, sprinkle with salt and pepper to taste and serve. You can also toss them in the olive oil and balsamic vinegar dressing – delicious! 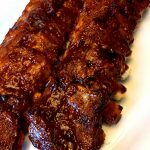 Instant Pot Corn – make the whole pot of juicy corn on the cob in minutes! This is the best method for cooking corn! Instant Pot Hamburgers – yes, you can cook perfect burger patties in the Instant Pot! No flipping burgers and no oil splatters! Instant Pot Cabbage – if you are in a side dish rut, try the Instant Pot cabbage! Yummy tender cabbage makes a perfect healthy side! Instant Pot Pasta – cooking pasta in the Instant Pot is so easy! You will love not having to watch the pot of boiling water! Instant Pot Baked Apples – stuffed with raisins and cinnamon, these baked apples are mouthwatering! So healthy and no sugar added! 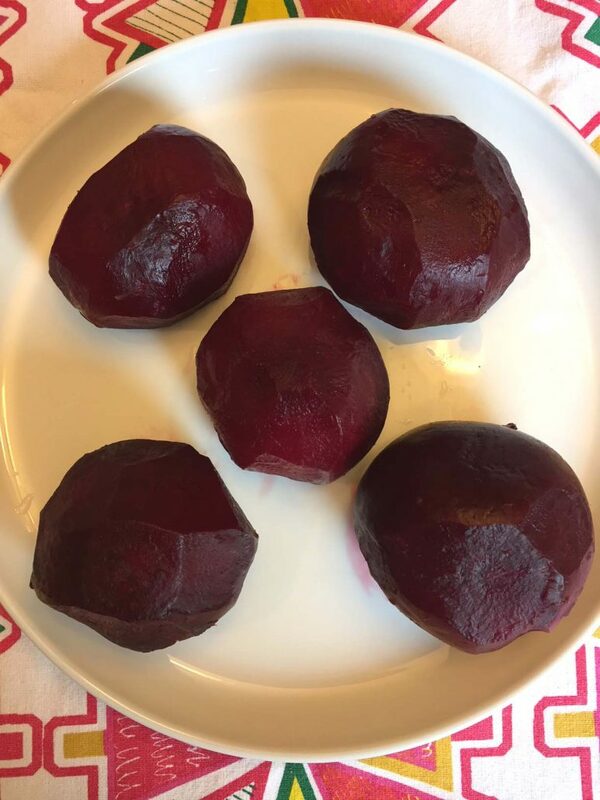 Instant Pot beets are so easy to make and delicious! Instant Pot is the ultimate easiest and laziest way to cooking beets to perfection! 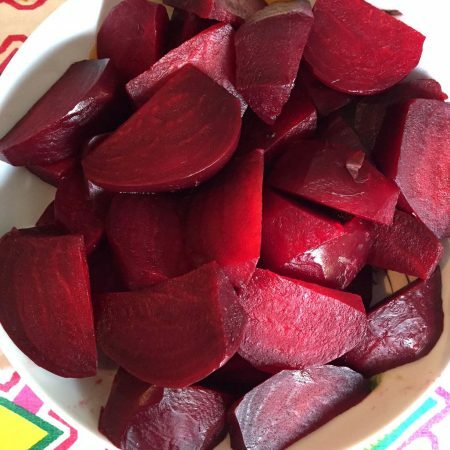 Put water and whole beets in your Instant Pot. Close the lid and turn the valve to a Sealing position. Press the "Pressure Cook" or "Manual" button and set the time for 20 minutes (if your beets are larger then 3 inches in diameter, set the time for 30 minutes). 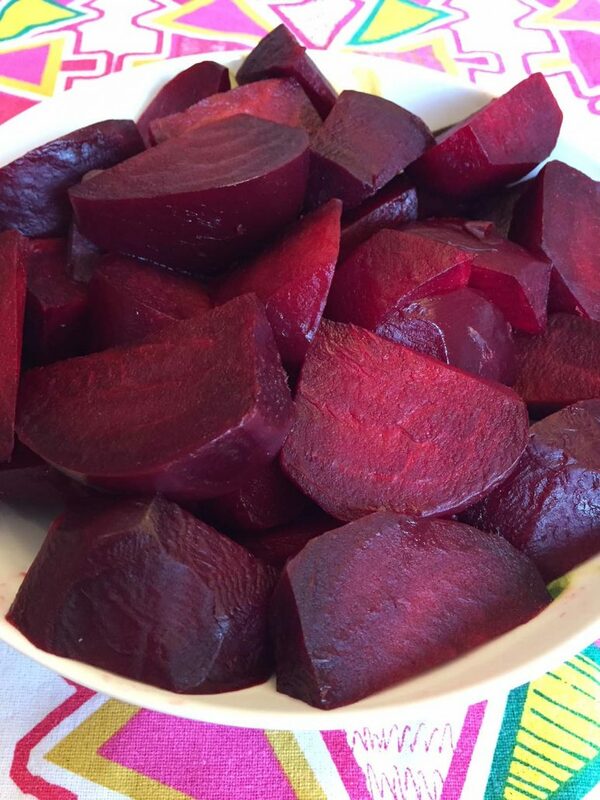 Remove the beets from the Instant Pot and peel them. 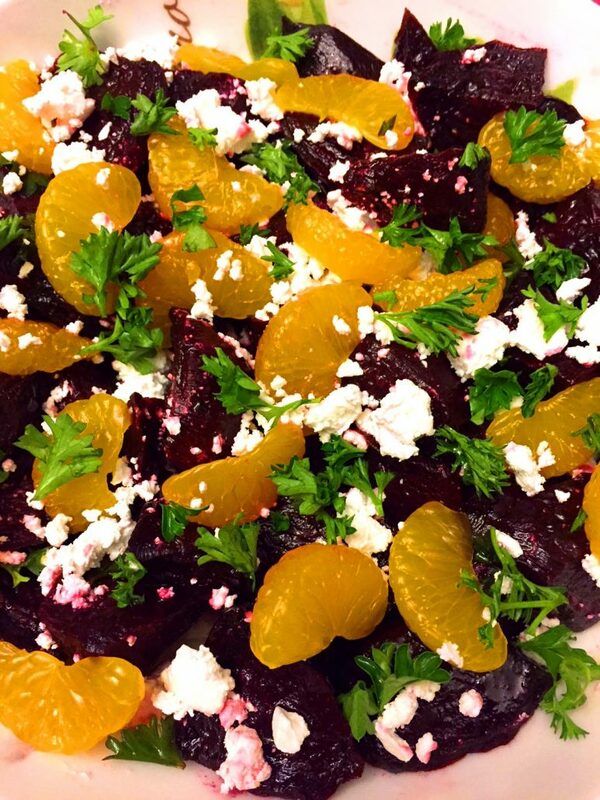 Slice the beets, sprinkle with salt and pepper to taste and serve. 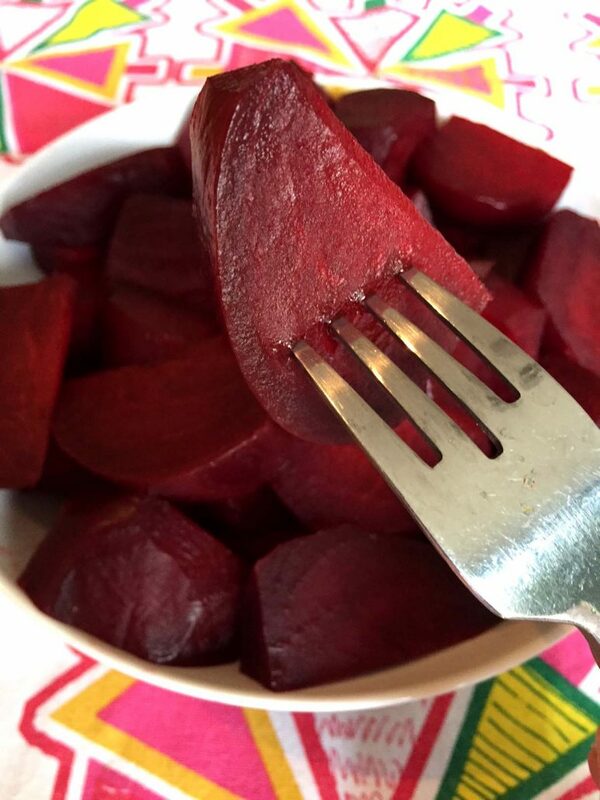 You can use 1 cup of water and same cooking time for any amount of beets. 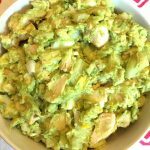 Avocado Chicken Salad Recipe – Healthy & No Mayo!